Social Login is a free MyBB extension that allows your users to login and register with one click using their accounts from 30+ social. The MyBB extension seamlessly integrates with your existing registration system so that you and your users don't have to start from scratch. It helps increasing your MyBB user registration rate by simplifying the registration process for new users and provides permission-based social data retrieved from the social network profiles. Use the following link to go to the MyBB repository where you can download the latest version of the plugin. 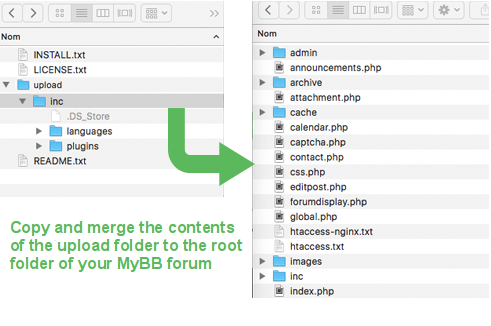 Open the downloaded .ZIP file and extract the content of the upload folder to the root folder of your MyBB installation. After having copied the folder you must have a inc/plugins/oa_social_login folder in your MyBB directory. 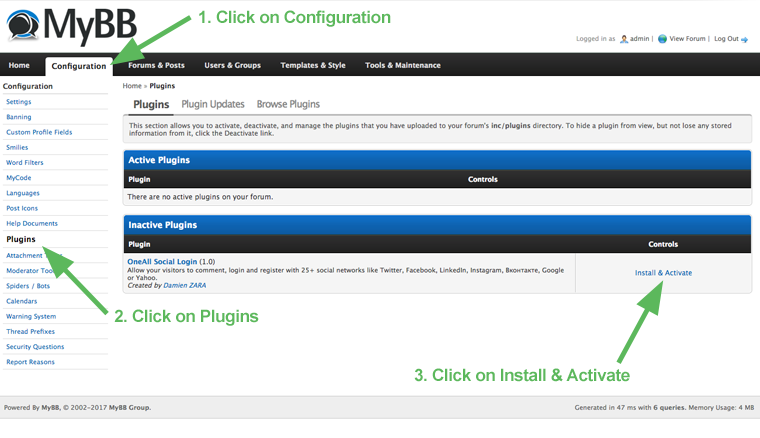 Login to your MyBB administration area, open the Configuration panel and click on Plugins. Then search for OneAll Social Login and click on Install & Activate. 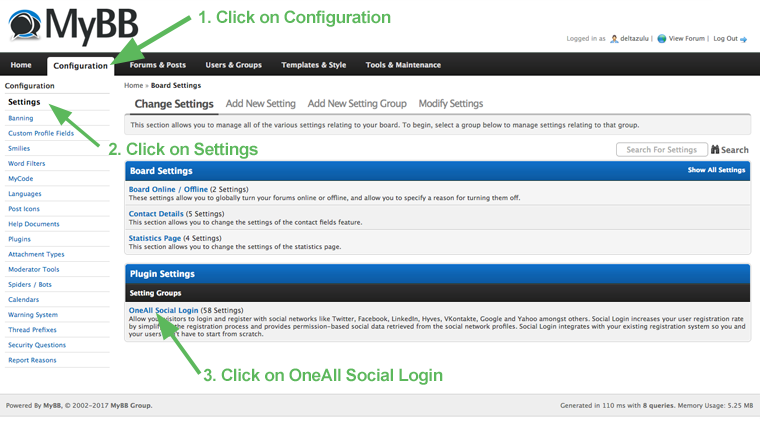 Login to your MyBB administration area, open the Configuration panel, click on Settings and then on the OneAll Social Login title. Fill out the API credentials in the MyBB administration area and click on the Verify API Settings button. You should receive a green success message if your credentials are correct. Select the social networks that you would like to use by ticking the corresponding checkbox in your MyBB administration area. a. The API Communication does not seem to work correctly. b. Is there any error logging? Yes, Social Login will log errors to the Error Logging Location that you have specified in the MyBB administration area under Configuration \ Settings \ Server and Optimization Options. In case no error location is defined, errors are logged to the PHP error log file of your server. c. I do not get the correct email addresses of my users. Some social networks (e.g. Steam) do not provide the user's email address. In this case it's unfortunately not possible to retrieve the email address directly from the user's social network profile data and the plugin will generate a placeholder email address. d. How to display Social Login at another location? You can edit your templates in the myBB ACP under Templates & Style \ Templates \ Default Templates. Feel free to fork our MyBB GitHub repository to contribute to the development of this module.